Most of the available photo video maker does not allow further editing of our project. They only add pictures and then incorporate transitions or music. If we want to create a more stunning visual presentation, it is needed to know that there is more to photos and music playing at the same time. With a photo video editor, we can modify simple photo slideshow, add graphics to make a story and even generate a more personalized output. Check out the list of the best editor for you to start making your photo video more interesting. 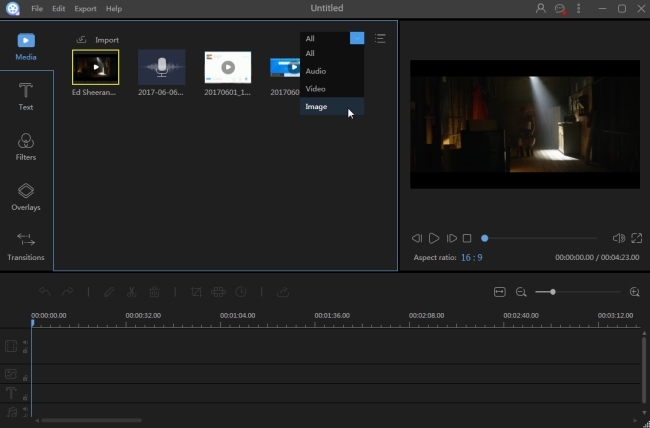 ApowerEdit is a desktop video editor which has a variety of editing tools to assist you in creating and editing your own version of photo video. Many programs available supports few video file types, such as the best-known Movie Maker and iMovie. But this one supports various video, audio and image types. No need to reencode the file before editing with ApowerEdit. Just drag and drop files to the program to start your job. The interface is intuitive and user-friendly. 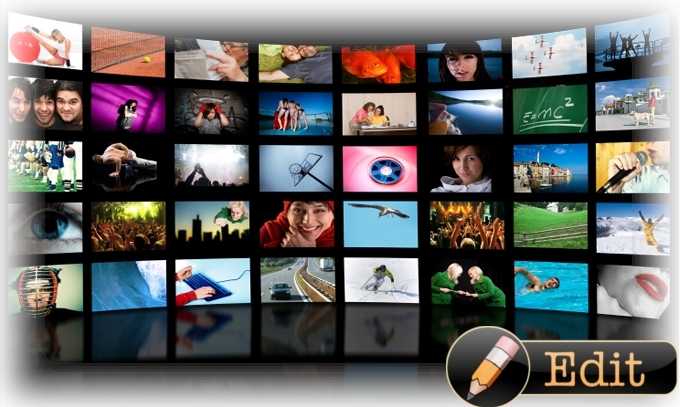 If you have ever tried other professional video editor, you’ll find it is really easy to use. It can split, delete, crop, and blur portions of a video. It also provides a way to color correct video and modify the speed of the video. Making a slow or fast motion photo video is quite simple and direct. No skills of the computer are needed. There are also stylish text, overlays, filters, and transition templates to let users make their video distinguished from others. If you are not fond of the background music, you can even use this photo video editing software to dub with your own voice. 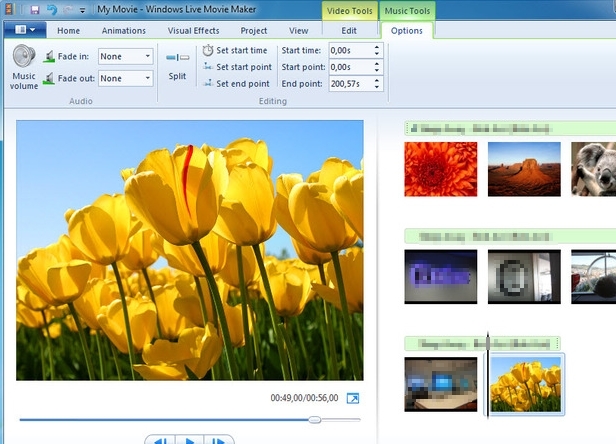 Windows Movie Maker is a basic video editor preinstalled on the computer running Windows platform. It supports to create a video with pictures and video footages. In other words, it is also available to edit photo video, including split, trim, delete, and merge photo videos. Moreover, it also has filters, and transitions and animations effects to be applied to a video. There are caption and music features allowing users to enable subtitles and background music in their video. Its greatest shortcoming is it supports Windows compatible video formats. Due to the property of Mac OS, the number of video editors for Mac users is far fewer than for Windows users. 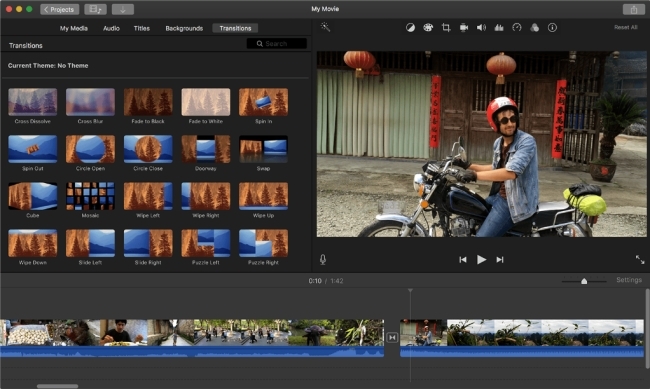 iMovie can also be regarded as a Mac photo video editor. It is very powerful to magically turn videos created with photos into an amazing one. Similar to the two apps listed above, beside the basic features, it prepares a lot of themes to start photo video editing work. Plus there is a picture in picture effect, people can make their photo video unique and attractive. Animoto is a great web application that has the ability to create a video presentation easily. It allows you to add your own pictures, insert music and select a theme to make a basic photo slideshow. 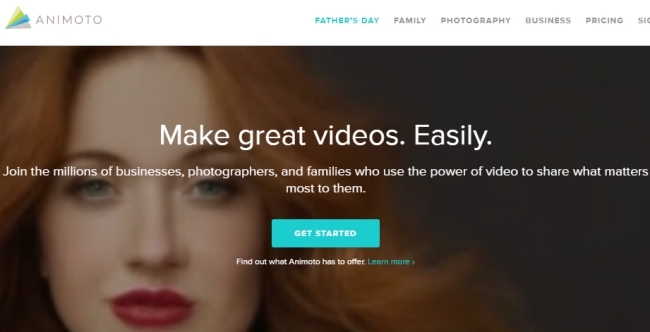 Simply find Animoto on the web. Click on “Start Trial” button and then fill up the information needed. Once you’re on the dashboard, click on “Create” and then choose your theme. Click the “+” button to add pictures, videos, or text. On the topmost portion, you can see the music track assigned on your file. Click on it to check other song choices. You can also hit “+Add another song” to insert music from your computer’s library. Click “Produce”, input the title and description of your project and finally hit the “Download” button to save the work to your computer. 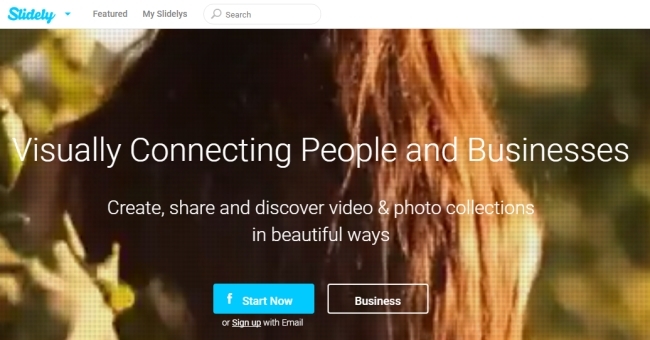 Another cloud-based editor is Slide.ly. You can add pictures and music stored on the web or your PC, select themes from the options and the app will adjust everything for you. The most different feature it has from Animoto is it allows you to share your project on Facebook and Twitter. Visit Slide.ly and create a free account. Press “Create” > “Slidely Show”, from here, you have to accomplish three simple steps. Import the photos you want to include in your presentation. Per project allows up to 60 photos. Select the music from the choices available or hit the upload icon to upload your preferred one. Pick the proper theme for your video then click “Save my Slidely”.